This event is held annually usually on the second May Bank Holiday Monday at The Granary Tea Room in Sudbury. 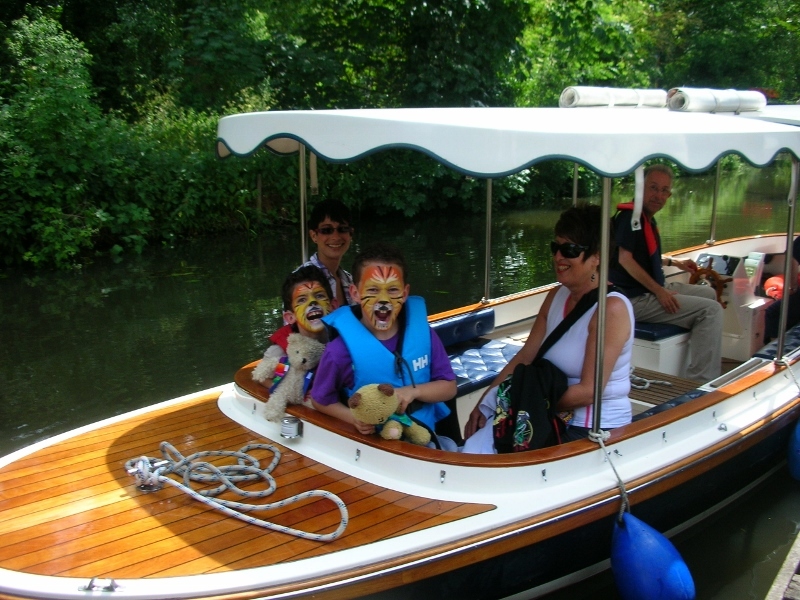 We offer free boat trips for young children (under 12 years old) and their teddy bears when accompanied by a fare paying adult. There is no admission charge to the event and no pre-booking for the boat trip before the day. However, there is a bankside ticketing system on the day meaning that you are able to book places on trips running approximately every 30 minutes. Buoyancy aids are provided for all child passengers. The Tea Room offers a simple ‘teddy bear’s picnic’ including lovely homemade cake and a selection of hot and cold drinks. Enjoy our riverside location and relaxing with friends and family whilst you wait to board the boat.